Discover the entire ghd range. ghd are the UK-based hair tools brand that changed the professional haircare world for good. The introduction of their famed ghd straighteners back in 2001 raised the bar, setting new standards in the industry for quality and effectiveness. All about results and creating gorgeous hair, ghd have continued to roll out successful product after successful product in the years since their origin. 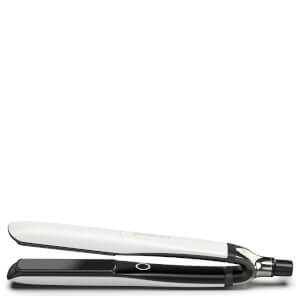 So, what sets a ghd hair straightener apart from the rest? There are a number of tenets ghd hold dear and reflect through every product in their range, including quality and accessibility. Ideal for both professional, in-salon styling and at-home use, ghd products are made to improve your haircare experience tenfold. You’ll never want to go back to another brand after adding one of their coveted products into your daily routine! There’s a huge range of straighteners, curlers, dryers and more available from ghd, each of which has been designed with functionality and results in mind. All ghd products boast the full spectrum of modern conveniences we’ve come to expect from our heated tools, so you’re guaranteed to have nothing but an easy experience. For instance, the stylers in the ghd range all feature ceramic and ionic plates to not only heat your locks more effectively, but minimise damage to the hair. That’s not all, though! 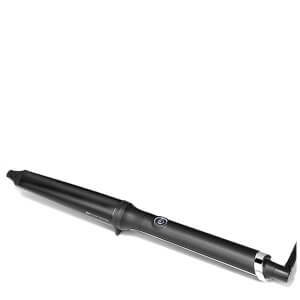 The ghd Platinum Styler, for instance, is equipped with a professional-grade swivel cord, automatic shut-off and universal voltage to make travelling a breeze. No matter your needs, your new ghd product is sure to address them. 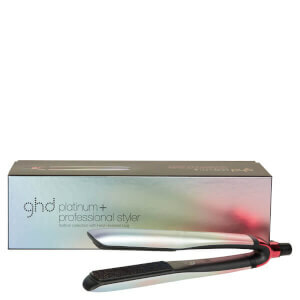 Speaking of the Platinum Styler, it’s perhaps the most popular straightener within the ghd range. Create sleek, smooth looks or soft, gentle ghd curls with this all-rounder product. New technologies and high-grade materials work together to deliver the most seamless, enjoyable styling experience you’ve ever had. Another favourite from ghd is the ghd IV Styler, a model which is slightly more affordable yet still offers all of the key features the Platinum does. You’ll still have all of the control over your styling, and the ability to create gorgeous hair looks with this beloved product. 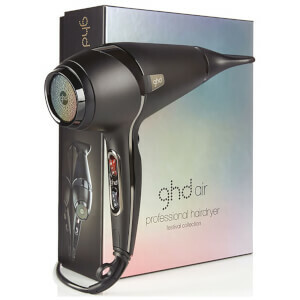 If you’re in the market for something else entirely, why not pick up a dryer or curling iron from ghd? The ghd Air Hair Dryer is a professional-grade product which delivers a salon-quality blow dry every time, even if you’re just a regular beauty lover using it from home. Ionic technology and a 2100 watt motor work together to give you a quick, frizz-free dry that won’t fry your locks. The ergonomic design makes it ideal for professionals, as it is accessible to both left- and right-handed users, and the lightweight feel won’t weigh you down as the day goes on. There’s a reason that ghd are considered number one in the haircare world. With a huge range of celebrity clients in addition to involvement in high profile events (think the Victoria’s Secret Fashion Show, Vogue cover shoots and more), ghd deliver total luxury through their product lines. Shop ghd straighteners and more today with lookfantastic, your official stockist. We offer free Australia-wide shipping on all orders over $50, plus select Afterpay at checkout to shop now and pay later!